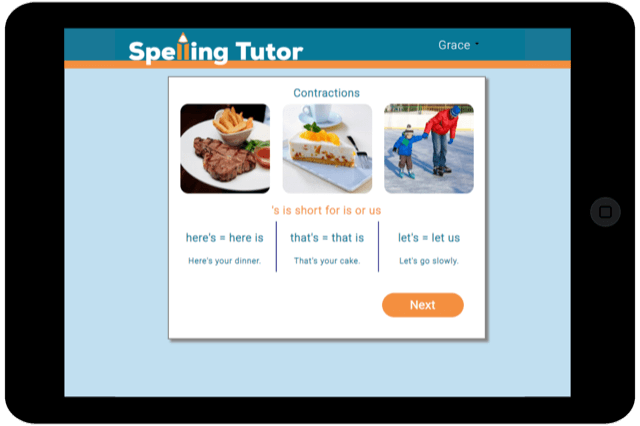 Play Spelling Tutor to learn to spell the most common 1,000 words. Suitable for all children, including those with dyslexia. Spelling Tutor repeats words you get wrong on Day 2, 3, 5, 8, 13 and 21. Each time you get it wrong it goes back to the beginning. So each word is presented until you have got it right 7 times in a row over 21 days. Research shows spaced repetition works because people more easily remember things when they are studied a few times spaced over a long time span rather than repeatedly studied in a short span of time. This is why learning words for an end of week spelling test often doesn't improve spelling. The words are soon forgotten. Whereas with spaced repetition the words are transferred from short term to long term memory. Each session is divided into 3 parts. Repeat words from yesterday and previous sessions. Write new sentences from dictation. Repeat all the words you got wrong in this session. 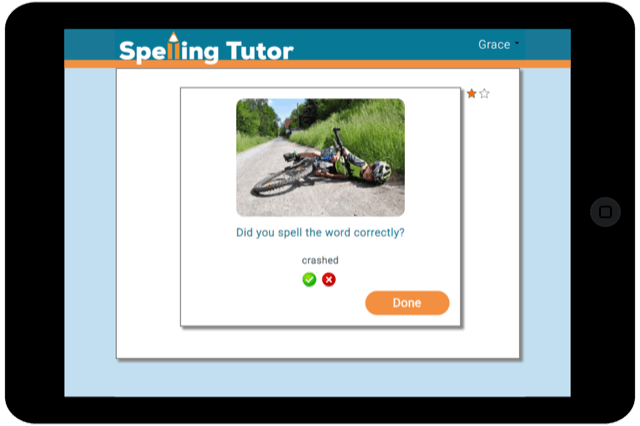 Most spelling programs require you to choose a list of words to practise. Some of these words you will know, and some you won't, but you practise all of them equally. Then you have to choose when that list is finished and it's time to move onto the next list. 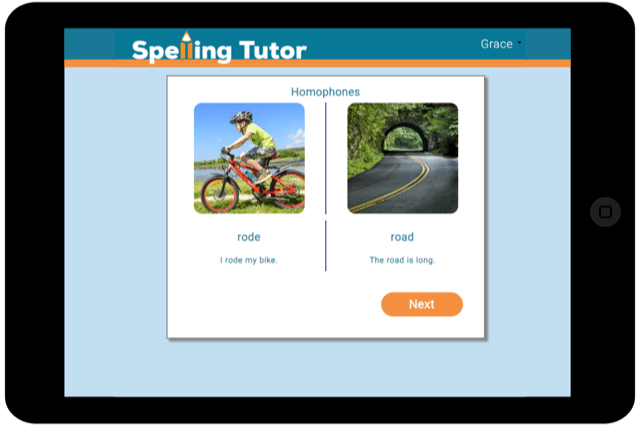 Spelling Tutor is different because you only practise the words you get wrong. The more you get them wrong, the more often they are shown to you. 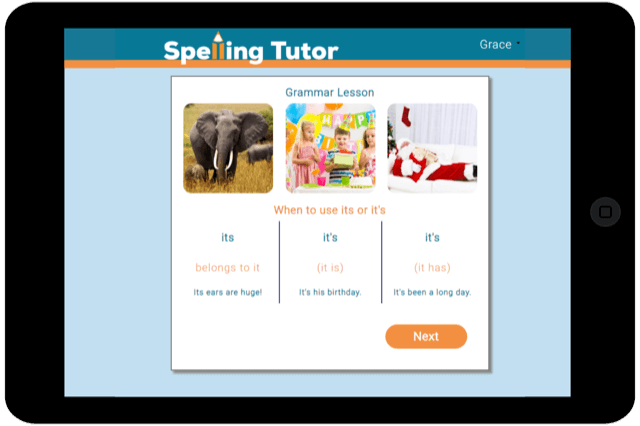 With Spelling Tutor you never need to tell the program you have finished learning these words and want the next list. 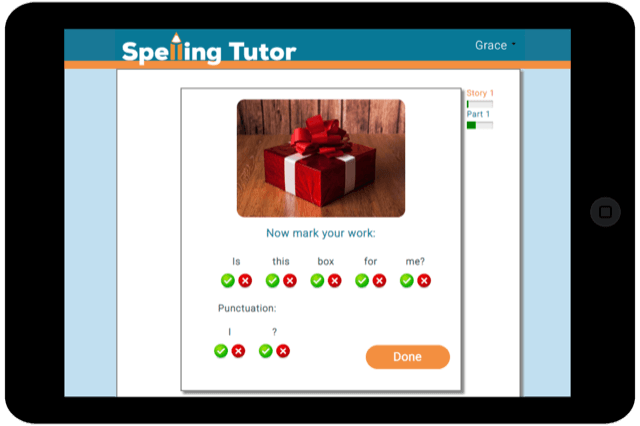 It uses the spaced repetition algorithm to determine when to test a word. Then every day it adds a few new words to the list you are learning. 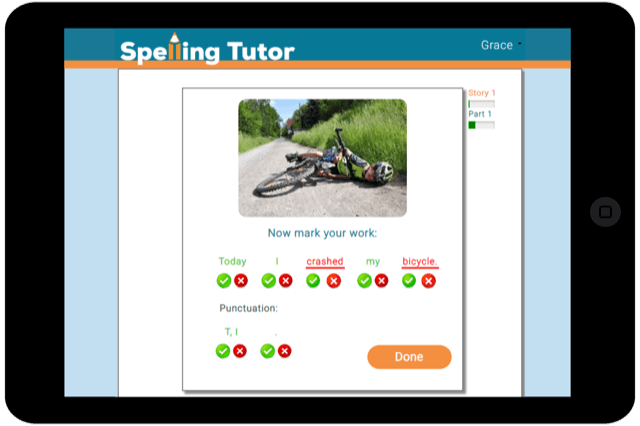 Why do you write in Spelling Tutor? By writing, instead of typing, your hand learns how to spell the word as well as your brain. Then it will become automatic, and you won't need to think about how to spell the word. Why do you write the words in sentences? Writing the words in sentences, is a better test of whether you know them, rather than just testing them singly. 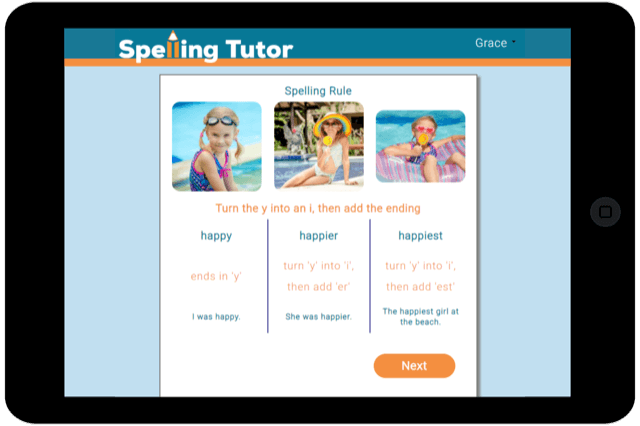 Lots of children are able to spell words correctly in spelling tests, but their written work is littered with errors. 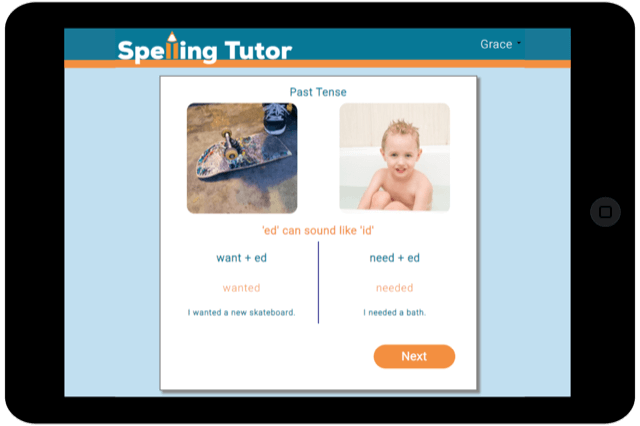 So testing them in the same way they're used (in sentences) more closely simulates what we're trying to achieve - good spelling.